The information published here is solely for the Tribal and Community Members of the Pueblo of Sandia. The new Pueblo of Sandia website is now live! The Pueblo of Sandia is increasing the opportunities for Tribal Members and Community Members to stay informed and have accessibility to news, events, and information happening at the Pueblo of Sandia. Tribal and community members can now keep track of new projects and can also submit articles, events, and news for publication on the site by filling out the form below. The Pueblo of Sandia is always working on even more new features for the site and if you have any suggestions, please submit your ideas by filling out the form below. Check back regularly to find out what’s new! 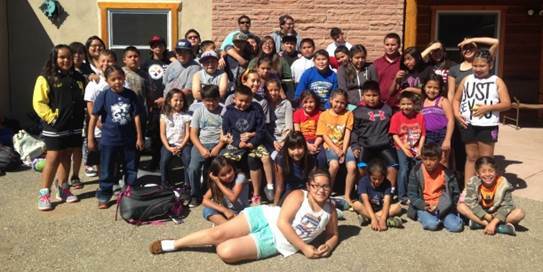 The 2015 Summer Recreation activities included 78 Tribal and Community adolescents and children that participated in the Youth Intern Program, Environment Activities, Sports Camps, and Field Trips. Hours of Operation: Monday through Friday 8:00 am to 5:00 pm. Medical and pharmacy are open until 6:30 pm on Monday nights. Counseling services for tribal members are available in the evenings when requested.